The Central Archaeological Council has given the green light for the excavations in Ancient Sikyon to begin. The excavational program will start in June and run for three years. The excavations will be conducted under the auspices of the Archaeological Society at Athens and led by Assistant Professor of the University of Thessaly Yannis Lolos. 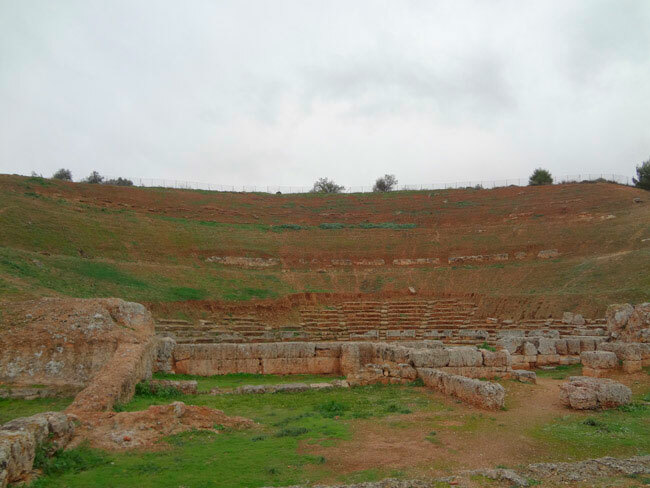 In parallel, another program will run: that of the restoration and enhancement of the ancient theatre of Sikyon, one of the biggest theatres in Antiquity. The restoration works will be conducted by the “Diazoma” Association. The excavations in ancient Sikyon “re-activate” in a way the surveys conducted by the Archaeological Society in the past: under the direction of A. Philadelpheus in the 1920s , later (1933-1941 and 1951-1954) by A. Orlandos, and in the 1980s by Mrs P. Chrystalli-Votsi. These excavations focused on the Agora, bringing to light significant monuments, such as a temple, the long stoa, the palaestra, the Bouleuterion and part of the koilon of the theatre. The Archaeological Society and Mr. Lolos’ request was for 5 years and referred to the south and southeastern to the long stoa area and the sanctuary at the northwestern side of the Ancient Agora, as well as the three-aisled basilica at the southeast of the excavated temple, aiming to shed light to the unknown Byzantine Sikyon. The program approved will last three years and includes investigations at the sanctuary and the stoa – namely the rooms that haven’t been excavated by Orlandos. After its completion, the Central Archaeological Council will decide whether the excavations will be continued or not. Professor Yannis Lolos has been engaged in the fieldwork and research at ancient Sikyon for many years. His book Land of Sikyon: Archaeology and History of a Greek City-State presents the city of Sikyon and its surrounding landscape in a comprehensive study combining a discussion of the geological and historical background. Lolos and his colleagues carried out an intensive geophysical survey in an area of more than 2,500 square km of the terrace of the Hellenistic city. All sherds and tiles have been counted, more than 800 in situ and 1,000 scattered architectural members have been registered.